Relax in style with our range of comfortable outdoor sofas. 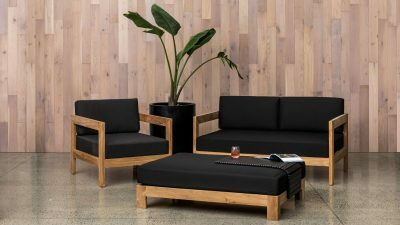 Featuring waterproof fabric, reticulated quick dry foam and durable frames, you can rest easily knowing that these outdoor couches are made to last. Quality is an integral part of everything we do – if it’s not the best, you won’t find it here. To learn more about what to look for when buying outdoor furniture, check out this guide.